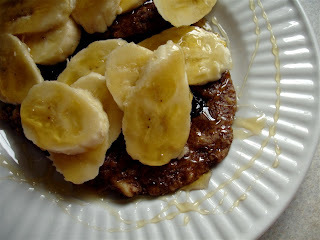 Top with a sliced banana and a tablespoon of agave. 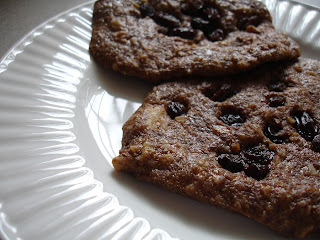 This is actually something my mom makes every once in a while on special occasions, so I associate it with holidays and birthdays and not necessarily "raw" foods. But it is raw and was always one of my favorites. It's also remarkably easy. 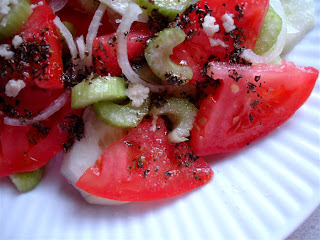 Slice cucumbers and tomatoes, chop onion and celery, and press (or very finely mince) the garlic. Layer on plates. 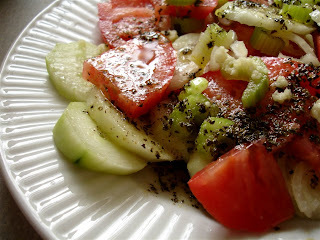 Mix together the dressing ingredients; the olive oil, vinegar, salt, pepper and spices. Whisk together until emulsified, and drizzle over the top. The night before, take one cheez round (recipe below) and break into small pieces and dehydrate overnight. 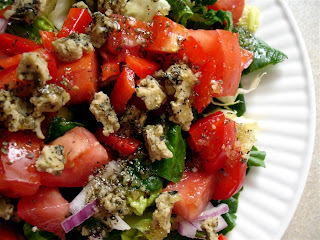 To make the dressing, just whisk together the olive oil, vinegar, agave, and spices until emulsified. 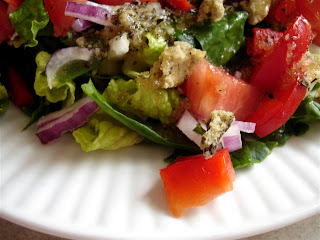 Assemble the salad ingredients, add the cheez bits on top, and drizzle with the dressing. Salt and pepper to taste. 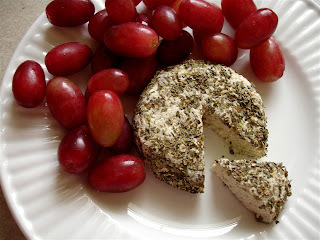 This "cheez" is amazing, and surprisingly simple to make. In a blender, add all the cheez ingredients. Puree for several minutes until as smooth and creamy as possible (it's a delicious alfredo sauce at this point). Pour into a jar or other glass container and cover with cheese cloth. Let sit overnight or longer to develop the desired sharp taste. 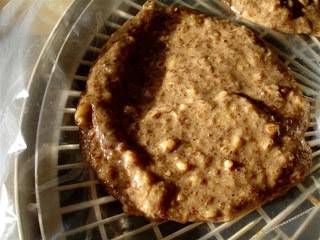 As it sits, the nut "cream" will thicken up as well, making it easier to handle. Once the flavor has developed to your liking, divide in two equal portions. 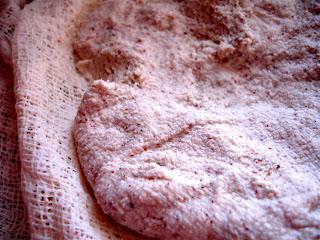 Place in center of several layers of cheese cloth and form into roughly a circle shape. Wrap each in the cheese cloth and place them in a colander with a weight or weighted plate on top. Put the colander in a sink or over a plate or bowl to catch any drips. A lot of the liquid will be pressed out of the cheez this way. Let it press for several hours. This doesn't get gooey, but it will be the consistency of cream cheese. Further pressing can make a firmer cheez. 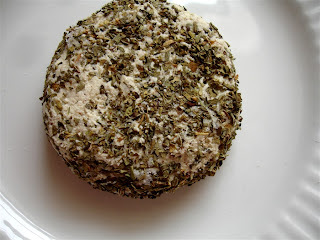 When it has the desired consistency, remove from the cheese cloth, shape into a wheel and roll in dried or minced fresh herbs. Serve with grapes. 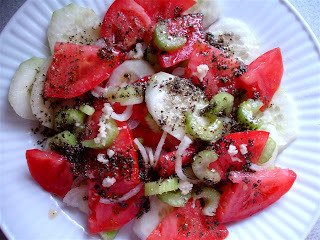 * To make cheez crumbles for the green salad above, take one of the wheels of cheez and break into small pieces, about the size of peas or about. Dehydrate the pieces until they're a little crunchy on the outside but just a little soft on the inside. Very interesting - and thrifty! You can't compete with that :) That dessert looks awfully tasty too. Angela from Jellybeans! Nice to see you here. Love your art! The pancakes look great! 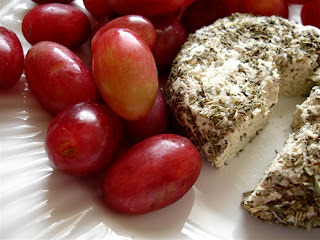 And one of these days, I'll have to try my hand at vegan cheese. 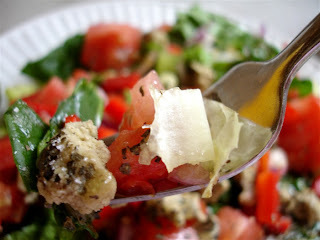 Love the raw cheese ... it doesn't last long enough, though! voted for you for BEST blog in the Best of Raw Awards!! And I voted for you for the BEST in just about every category in the Best of Raw Awards! 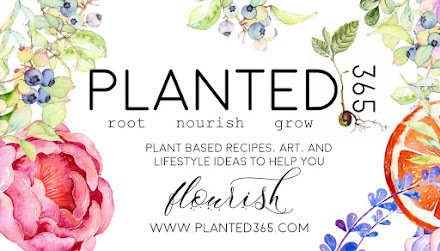 I know I have been learning alot from this blog! I appreciate the nutritional information she always posts at the end of the menu. I am the opposite of alot of vegetarians and vegans. I need to limit the amount of protien I eat due to the type of kidney disease I have. She makes it so much easier on me to track how many grams of protein! THANK YOU for all the HARD WORK!!! lisa, i drink water kefir on a daily basis--do you think i could use water kefir grains as my probiotic for the brazil nut cheeze? I can't make it through a day on that few of calories.